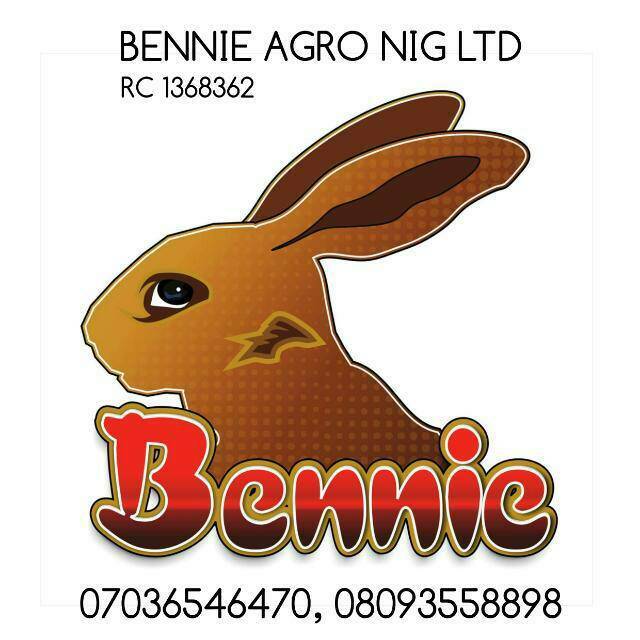 Jerry Isaac Mallo, CEO Bennie Agro Technologies appears to be on his way to being the new giant of Africa's agricultural technologies. He is 23yrs old, born and raised in remote Kunet village, Butura land, Bokkos LGA, Plateau state, Nigeria to a poor farming family. 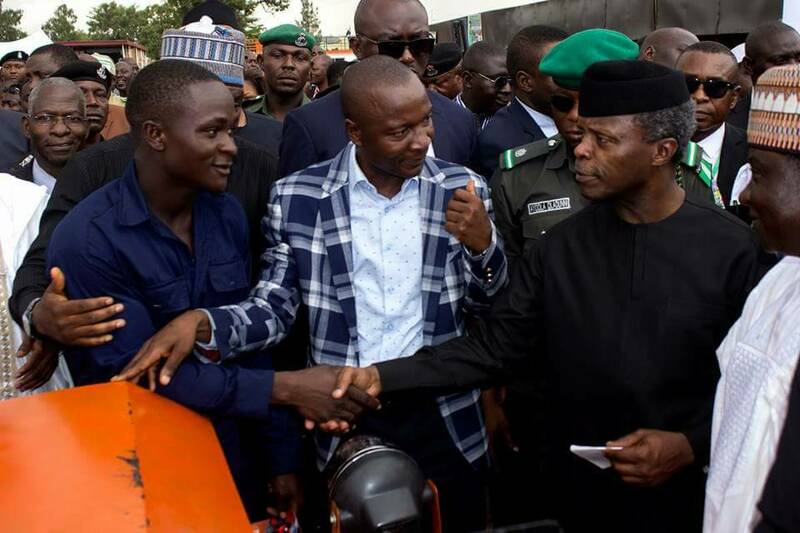 He attended the Gindiri Boys Secondary School (BSS), in Mangu where he had his science and technology exposure. 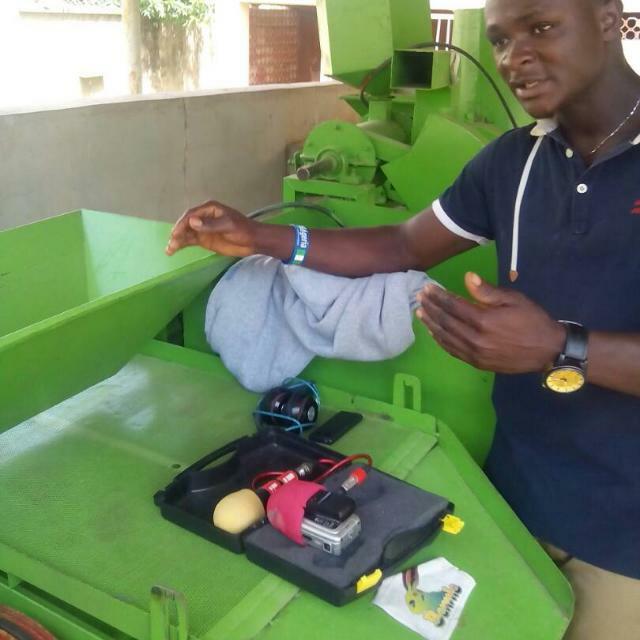 Jerry had a bosom friend and partner in school (from Plateau north) with whom he built energy saving generators, solar powered fans among others. Their innovations led them to winning many honours for their school at both state and national competitions. Their first international outing to Peru having emerged top of the national competitions was foiled by administrative lapses. After their graduation in 2012, Jerry and his partner built a model car with wood and some rods. They couldn't bring it to a finish for lack of finances but it could be seen driving around TCNN-Guratopp-Rayfield Jos road. Jerry and his partner were however determined to explore their imaginations. They still came up with the vision of a helicopter. They built the prototype using coper wires. It could fly using batteries and a remote control. All they needed was to transfer the same techniques on the bigger frame. They began building the helicopter from that miniature model using different metal frames. At about 70% completion, they decided to test-run the equipment. They however were disappointed to realize that the engine they used, a vox wagen car engine was too heavy for the chopper. They went back into the lab and did their calculations again and arrived at a more favourable engine which was that of a power bike. How to get the money to purchase that was however a problem. The two teenagers hadn't any external support despite media reports on their innovations. Soon, Jerry's nightmares were in 2014 made worse by his friend's commencement of studies at Nsukka University. He hadn't any funds to further his education but was hopeful for a breakthrough because he had a partner who shared the same dreams and passions with him. However, with his admission, Jerry was now left alone in the struggle. However, instead of giving up, Jerry moved back to his village residence in Kunet and set up a small metal fabrication workshop. There he continued pursuing his dreams, buying iron parts and shaping them into various useful tools for mechanical use. 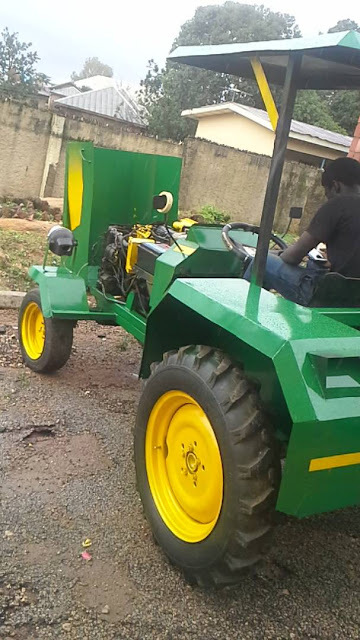 By 2015, he had built water pumps, maize threshers and a host of other agricultural machines. 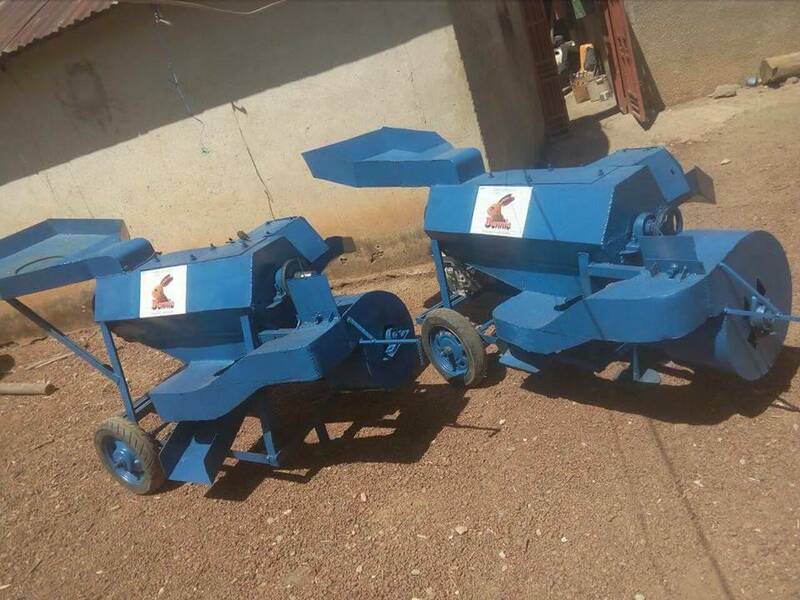 One day, some representatives of the European Union were in Bokkos for some agricultural research projects and they came across his innovations. That encounter opened the way for his first overseas trip for training. Later in the year when the Plateau state government had its first Trade Fair under Gov. Lalong, the EU country reps allocated Jerry a space in their pavilion to exhibit his products which by then had expanded to processed and packaged food products. 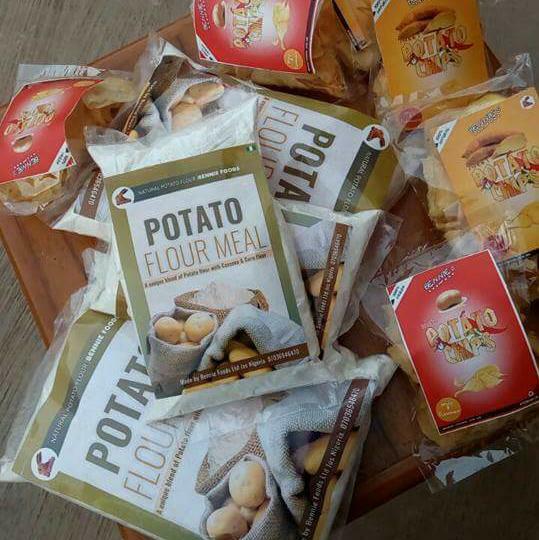 They included Irish potatoes and cassava chips, starch, flour and many others. 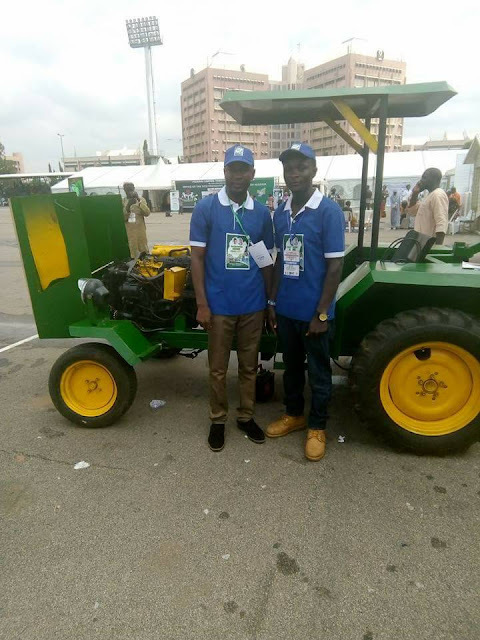 By May 2017 when Plateau state hosted the first ever SMSEs clinic, Jerry stunned the over 5000 spectators at the Pollo field venue of the fair including the Acting President, Prof. Yemi Osibanjo with the first ever made in Africa tractor. 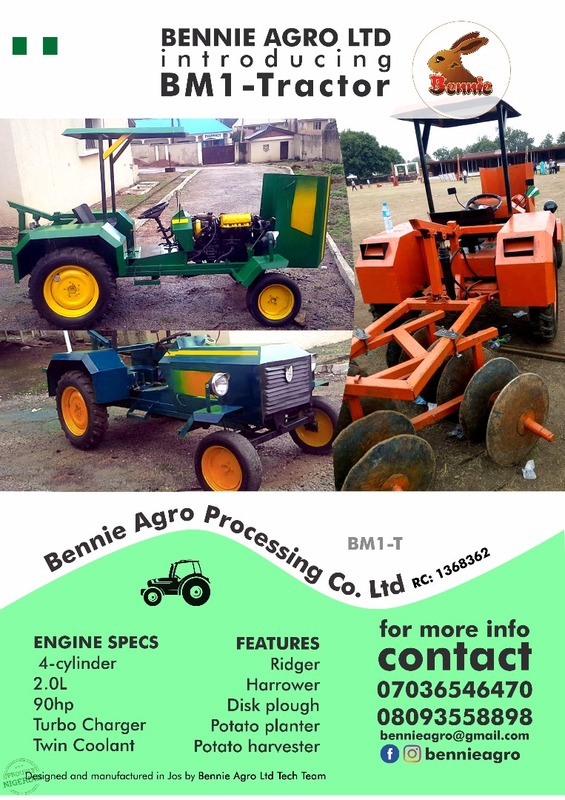 He had other machines on display such as rice processing plants, fonio shellers, etc. The State governor, his counterparts from Taraba, Sokoto, Bauchi and others around could not hide their feelings as can be seen in a documentary on the even presently on YouTube. Jerry has represented Plateau state at the Abuja round of the SMSEs clinic and as can be seen in the attached pictures. Gov. 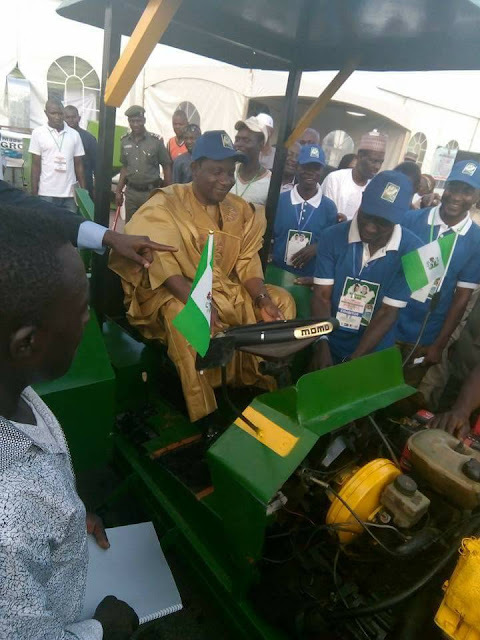 Lalong of Plateau state appears to be proud of the boy's innovations. 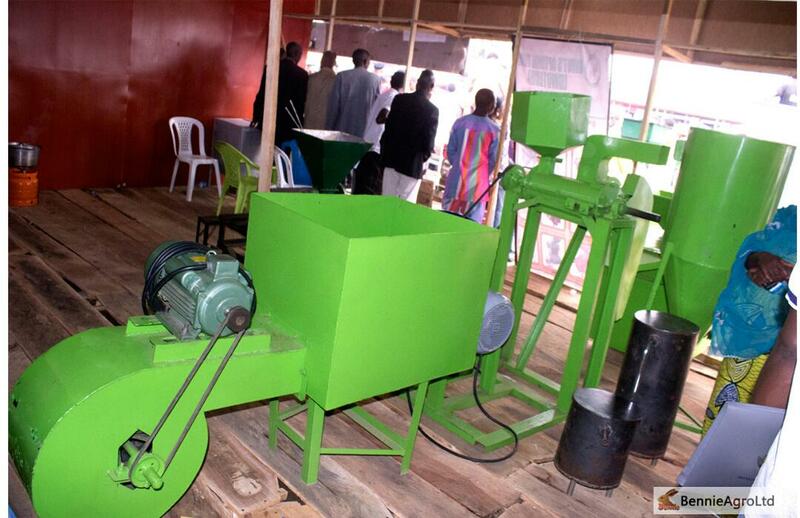 The state microfinance agency has purchased one of his plants just as the German Technical Corporation (GIZ). He has sold many more machines locally and internationally and there doesn't seem to be a limit to how high he could fly with his aistaunding innovations.